Hydro-Gear once again attended the Green Industry Expo in Louisville on October 22-24. This year the Hydro-Gear booth got a facelift with a new structure and new design built around our Hydro-Gear Commercial brand, check out our photos on our Facebook page. Along with changing up our indoor booth we stepped up our game and added on an Outdoor Demonstration Area where we showcased our ZT-4400s and our Smartec Electronic Technology. Both these products were a big hit. Especially the remote control mower that was fit up with our Smartec EA50 and Smartec Electronic Drive Module. Watch the video of the remote control mower at our YouTube Channel and on our Facebook page. 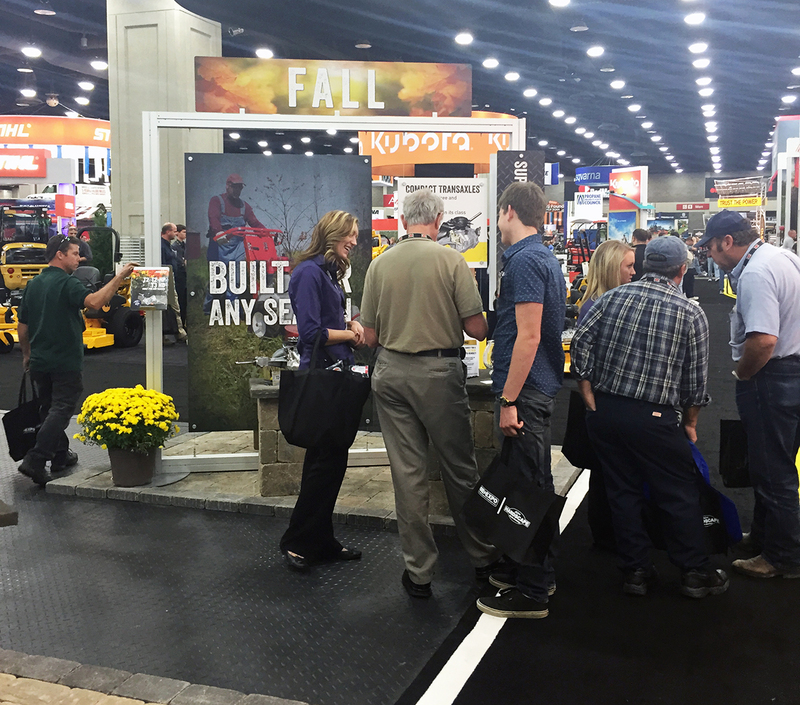 This year’s GIE+Expo didn’t disappoint any of the exhibitors. Attendance was up 11% over last year with over 19,000 participants and over 180 new exhibitors joined the ranks. With 500,000 square feet of indoor exhibit space and over 19 acres of outdoor demonstration area, this is the tradeshow to be at for our industry. Thousands of people from all over the country walked the Kentucky Exposition Center during this 3-day event. We are always excited to showcase all our products at this amazing expo. We hope everyone that attended enjoyed our new indoor booth, took advantage of our outdoor demo area, and were able to stop by to see our products and talk with our brilliant staff. Don’t miss next year’s expo to see what Hydro-Gear will do next.